Sildenafil Citrate, commonly known as Sildenafil is the active ingredient in Viagra, used in the treatment of Erectile Dysfunction (ED). Owing to Viagra’s high prices, Sildenafil has emerged as the top substitute for the highly acclaimed drug. Sildenafil has been praised for its efficacy, and relatively cheap prices as compared to its counterpart; Viagra. As much as Sildenafil is a generic version of Viagra, it provides the same results. Moreover, the only difference between the two is the packaging and general appearance of the tablets. As such, Sildenafil can be termed as the cheaper substitute for Viagra. Sildenafil is only suitable for men above the age of 18, who have been diagnosed with erectile dysfunction. The medication is available in doses of 25mg, 50mg, and 100mg. You are advised to use the dose most suited to your condition. Moreover, you should not take more than one pill per day, despite the dose. Where Can I Buy Sildenafil Over the Counter? It is no secret that paying a visit to the doctor and having to talk about your ED problems is no man’s forte. Therefore, obtaining a prescription for ED medication has proven to be no easy task. This has left most people in the search for an over the counter remedy to erectile dysfunction. At the moment, however, ED medications such as Viagra and Sildenafil are strictly prescription-only medications. This means that you cannot purchase the drugs from a reputable pharmacy without a doctor’s prescription. In addition, any companies selling the drugs without a prescription are practicing an infringement of the law, and are susceptible to various lawsuits. However, with the influx of technology, it has become possible to buy Sildenafil products online. However, most online pharmaceutical companies and stores do so, or with the assumption that you have a prescription or while offering follow-ups and consultations to the buyers. As much as online pharmacies have made it easier for men the world over to gain access to ED Products, it is important to note that not all online drug stores are legitimate. The web is full of fraudsters hiding under the cloak of ‘online stores’. Before you decide to embark on purchasing your medication online, it is important to understand the risks that come with this. First, you will be at greater risk of buying counterfeit products. Moreover, some of the products sold at websites may not have passed standard drug tests to ensure that they are safe for human consumption. In addition, be extra careful while entering important information such as your addresses and credit card information into such websites. Luckily, we have provided a list of Top Pharmaceutical companies we trust to offer you the right goods and customer service while purchasing Sildenafil products. All in all, for anyone who decides to purchase Sildenafil products online, the greatest motivation is affordability. As such, you may spend hours on end looking for the most affordable, most reliable and most efficient online drug store to provide you with the products. First, you need to have basic knowledge of the prices to expect on such websites. At the moment, Sildenafil, which is available in 25mg, 50mg and 100mg doses all have different prices. On average, for a 100mg tablet, you may spend as much as $3.50 and as low as $1.00. 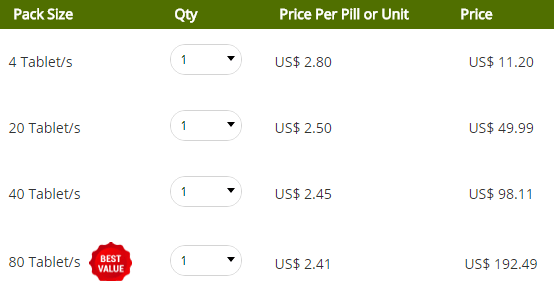 A single 50mg tablet ranges between $1.00-$3.00 while one 25mg tablet costs between $0.9-$2.60. Moreover, it is influential to have knowledge on how to cut these prices significantly. How? First, after determining the dosage you need, you may decide to buy one pill for a larger dose and split it into two. For example, if you require a 25mg tablet, you may decide to buy a 50mg tablet and split it into two for two different occasions. Moreover, you should consider buying the medication in large numbers. This attracts a discount hereby reducing costs. India has been long praised for its generic Viagra brands which have gained popularity within the online market. 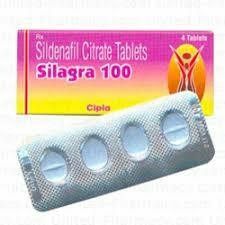 Indian pharmaceuticals have provided great Sildenafil Citrate products that can be used in place of Viagra. Examples of such include Caverta, Suhagra, and Silagra. Caverta, manufactured by Ranbaxy Laboratories Ltd, an Indian pharmaceutical company has received positive feedback, with users saying that the medicine was locally available and highly effective. However, it has been linked to side effects such as headaches, dizziness weakness, congestion, and bleeding. All in all, like all ED drugs, it is said that Caverta’s efficiency outweighed its side effects by far. Suhagra by Cipla has received no less than excellent reviews and feedback from clients and can be ranked among the most used Viagra alternative in India. 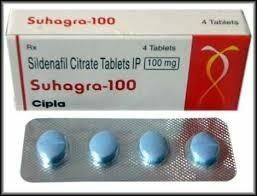 Silagra, also by Cipla, is readily available in most Indian pharmacies and costs $1.20 a tablet. As stated above, it is possible to buy Sildenafil products from online pharmacies. Check our Top list of Recommended Online Pharmacies where you can purchase the products. All in all, be careful while purchasing the drugs online. Be cautious not to be a victim of counterfeit or unsafe products. Sildenafil is an oral therapy for Erectile Dysfunction in males. It is the generic form of Viagra; generic meaning that it is similar to Viagra and the only difference between the two is that Sildenafil does not carry the brand name. Therefore, it should never be confused that Sildenafil is substandard to Viagra. In fact, it is as effective as, and even cheaper than Viagra. Before you take Sildenafil, ensure that you visit a doctor to ensure that your ED is not a symptom of a greater complication. Moreover, the counsel of a medical expert is important in order to ensure that the drug does not do more harm than good; this is especially for patients who take nitrate-based drugs. Sildenafil is known to significantly reduce blood pressure thus is not suitable for people who suffer from high cholesterol or high blood pressure.